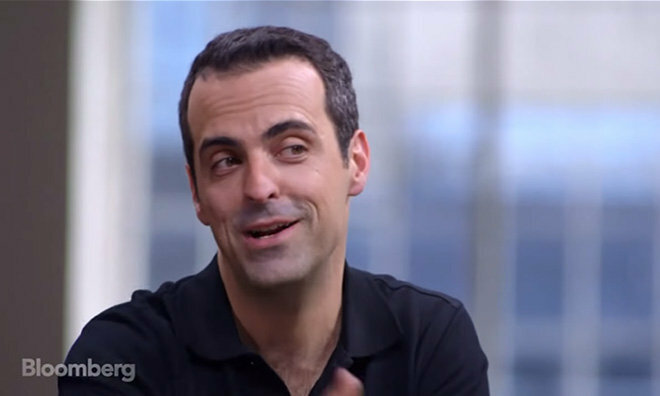 In a video interview with Bloomberg published on Thursday, Hugo Barra, vice president of global operations at Chinese mobile hardware upstart Xiaomi, addressed accusations that his company's products are derivative and take more than a little inspiration from Apple's iOS lineup. Barra told Bloomberg's Emily Chang that all smartphones need to have certain elements to function, and because form follows function, many handsets share common features. While true to some extent, Barra glossed over the how and why of modern smartphone design. "Without a doubt, every smartphone these days kind of looks like every other smartphone," Barra said. "You have to have curved corners. You have to have, you know, like a home button in some way, that's how interaction design works." Whether by purposeful omission or an unconscious disregard of past events, Barra fails to mention those heady years of personal device evolution when pagers moved from one-way to two-way technology, cellphones went from bricks to flip-phones and candy bars, and touchscreen PDAs joined the mix to create a primordial soup out of which emerged the beginnings of the modern smartphone. Current handset designs are formed around multiple factors, functionality, operating system UI, capability and accessibility being but a few. With competitive market dynamics, it's no surprise that device form factors have become somewhat homogeneous, as major industry players are unwilling to risk failure by departing from proven formulas. Debate rages as to whether de facto smartphone design standards were originated by one company, namely Apple, or evolved from an organic process decades in the making. Tech pundits and consumers previously called Xiaomi out on the seemingly iPhone 5-inspired design aesthetic applied to early handsets like the Mi 4. Those assertions gained credence last year when Apple design chief Jony Ive referred to Xiaomi's design as a form of theft, calling their decision to ape Apple's work "lazy." When asked about Ive's comments, Barra parried, saying similarities between Mi 4 and iPhone 5 come down to "one chamfered edge." He said he was first to admit the Mi 4 does indeed look like Apple's iPhone 5, but that same chamfered edge can be found in numerous handsets made by other manufacturers. Therefore, vis-a-vis, not stealing. Barra went further —perhaps too far —by saying those contributing to the Apple "copycat melodrama" were "projecting their bias against Chinese companies onto [Xiaomi]. People just couldn't bring themselves to believe that a Chinese company actually could be a world innovator, could build amazingly high-quality products —and by the way sell them for less than half the price of a high-end Apple or Samsung device." Later in the interview, the exec predicted that other companies would soon take inspiration from Xiaomi's designs and innovations. Barra didn't explain why, exactly, he associated the conversation with design inspiration after making clear the argument should be about intrinsic smartphone design. Did Xiaomi copy Apple's design? Today's interview shed no new light on the subject. However, Barra's overzealous campaigning against detractors came off a touch desperate, teetering dangerously on the chamfered edge of denial.